Mallrat, aka Grace Shaw, is back and poppier than ever on new single ‘Nobody’s Home’. The 20-year-old Brisbanite teams up with Future Classic artist Basenji – another local up-and-comer readying for a big 2019. ‘Nobody’s Home’ is a vibrant and weirdly cheerful expression of longingness and falling in love, and could solidify Mallrat and Basenji’s names on the airplay chart once and for all. 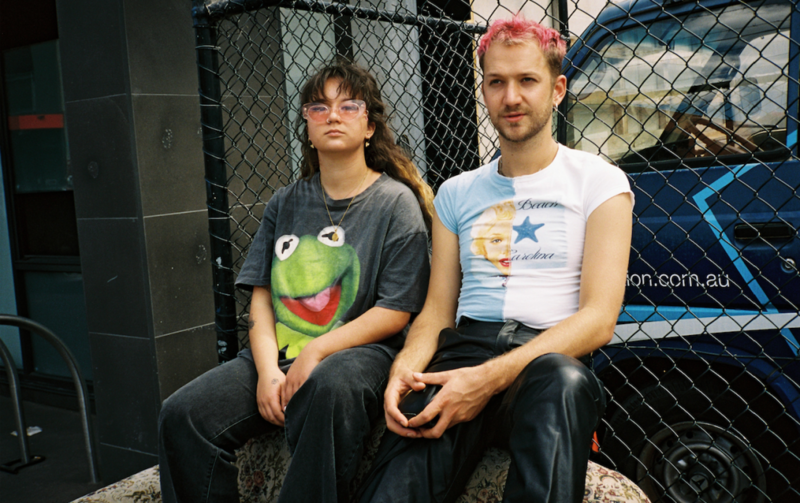 The layered textures speak to Mallrat’s signature sound, while Basenji’s arrangement of glossy synth tones makes this one a must-hear for fans of electro-pop. ARIA Gold single ‘Groceries’ turned out to be a massive hit for Mallrat in 2018, placing at #7 on triple j’s Hottest 100 and peaking at #80 on the TMN Hot 100. Basenji’s ‘Mistake’ ft. Tkay Maidza went as far as #83 on the chart, but it’s obvious that both he and Mallrat have a lot of room to grow with this single outside of the alternative realms.